The reality of this photograph is chilling. 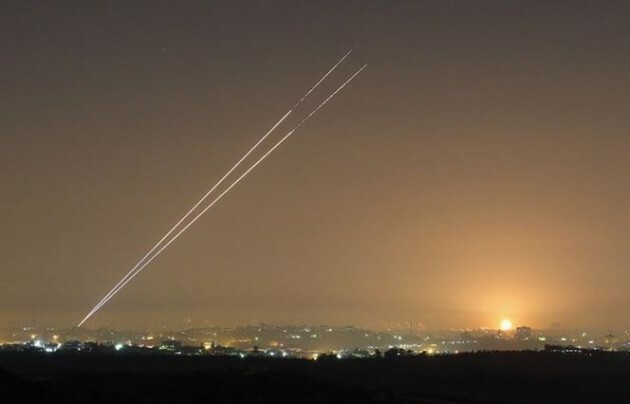 Left: rockets from Gaza City are fired towards Israel. Right: an Israeli bomb explodes in Gaza. Center: civilians pray for an end.